Orla Smith is past manager of the Critical Care Clinical Care Research Unit (CCCRU) and Associate Scientist at the Li Ka Shing Knowledge Institute at St. Michael’s Hospital. 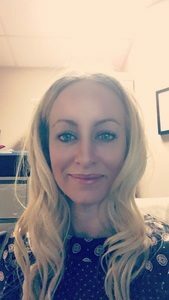 Orla is a certified critical care nurse and holds a PhD from the Lawrence S. Bloomberg, Faculty of Nursing, University of Toronto. Her main research interests are decision-making in the ICU, research ethics in critical care, and clinician health and well-being.